Attorney Noah Fardo, managing partner of Flaherty Fardo, LLC a Pittsburgh law firm has been recognized by the Elite Lawyers of America for recent accomplishments in civil and trial litigation. Elite Lawyers of America recognizes “civil trial lawyers who have obtained a verdict or settlement of at least 2 Million Dollars”. 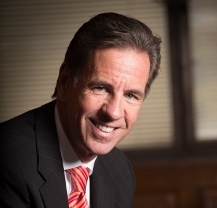 Mr. Fardo’s trial litigation efforts have included representation of catastrophically injured clients and assisting family members in pursuing wrongful death claims arising from Pittsburgh medical malpractice, trucking accidents and Pennsylvania car accidents. He has successfully obtained numerous medical malpractice verdicts and/or settlements throughout Pennsylvania including counties, such as Allegheny County, Westmoreland County, Washington County, Fayette County, Clearfield County and Elk County. In 2004, Mr. Fardo obtained a landmark jury verdict against the Port Authority of Allegheny County for their intentional violation of the Americans with Disabilities Act (ADA). Specifically, it was proven at trial that the Port Authority intentionally discriminated against a paraplegic in strict violation of Section II of the ADA. This landmark decision has received attention from lawyers nationwide and was the first successful jury or non-jury verdict of its kind against the Port Authority. In 2006, Mr. Fardo secured multiple million dollar settlements for each a victim of a botched plastic surgery, and for a child injured in a tractor trailer accident. In 2007, Mr. Fardo successfully negotiated six-figure settlements for both wrongful death and medical malpractice claims. In September 2008, Mr. Fardo won a Washington County Jury Verdict against a Physician for lack of informed consent concerning an amputation. In April 2009, he won a neighboring county jury trial for alleged malpractice. In June 2010, Mr. Fardo successfully negotiated a six figure settlement for a victim of an awake breast augmentation in Elk County, Pennsylvania. In July 2011, Mr. Fardo obtained a 10.5 million dollar Allegheny County Assessment reduction for a commercial property owner in Pittsburgh, Pennsylvania. In 2012, Mr. Fardo helped obtain a confidential monetary settlement against a major medical manufacturer for alleged misrepresentations of their product. As a direct result, the company changed how they advertised their product. Currently, Mr. Fardo is engaged in a variety of Pennsylvania trial litigation including Pittsburgh medical malpractice, botched plastic surgery, Pennsylvania car accidents and a variety of business litigation and disputes. He enjoys litigating against some of the largest law firms in Pennsylvania, and is proud to help victims of personal injury. 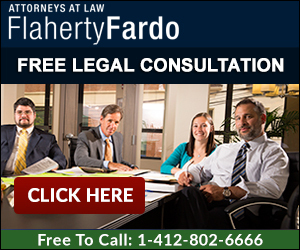 For more information about attorney Noah Fardo, please contact Flaherty Fardo at 412.802.6666.